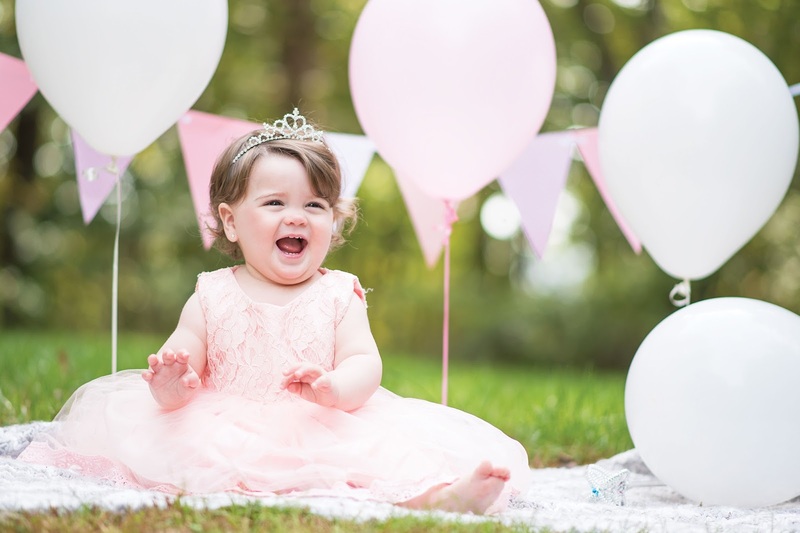 Meet Ms. Scarlett; the prettiest birthday princess! 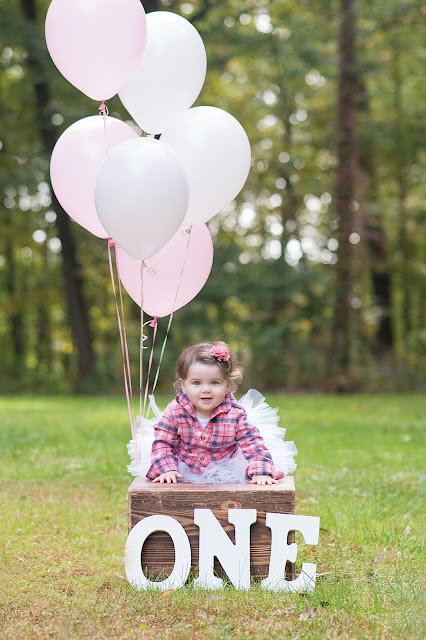 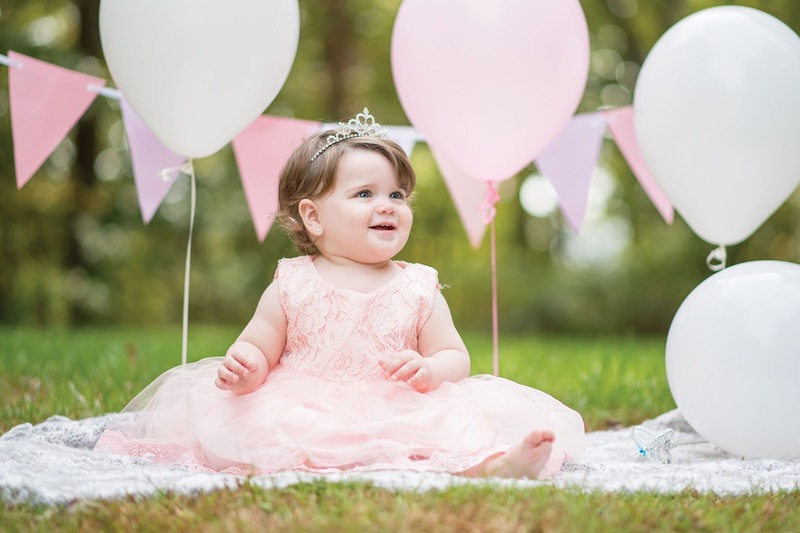 This little one is turning ONE this month, and we had the session right in her backyard. 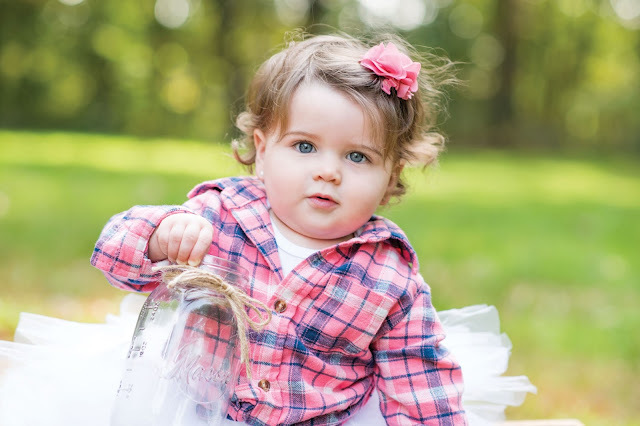 Mom wanted some fall looking photos, and Scarlett easily pulled off the flannel and tutu look. 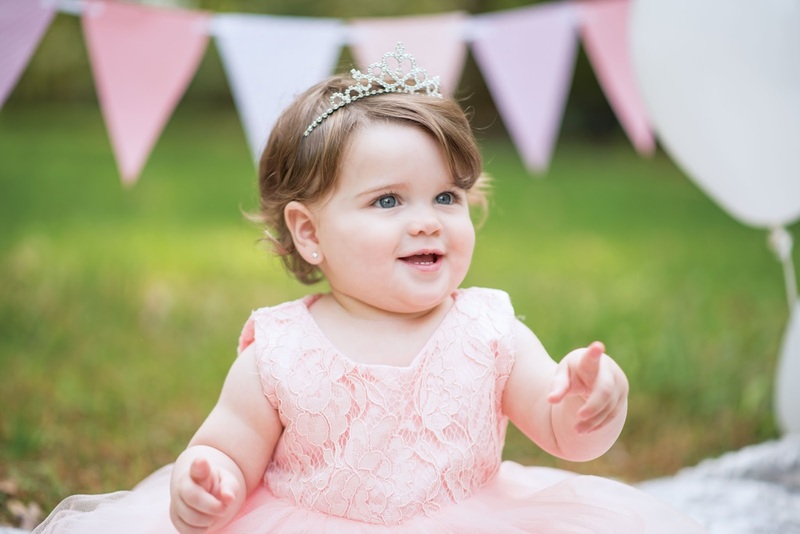 Next up, she sported a beautiful princess dress and tiara. 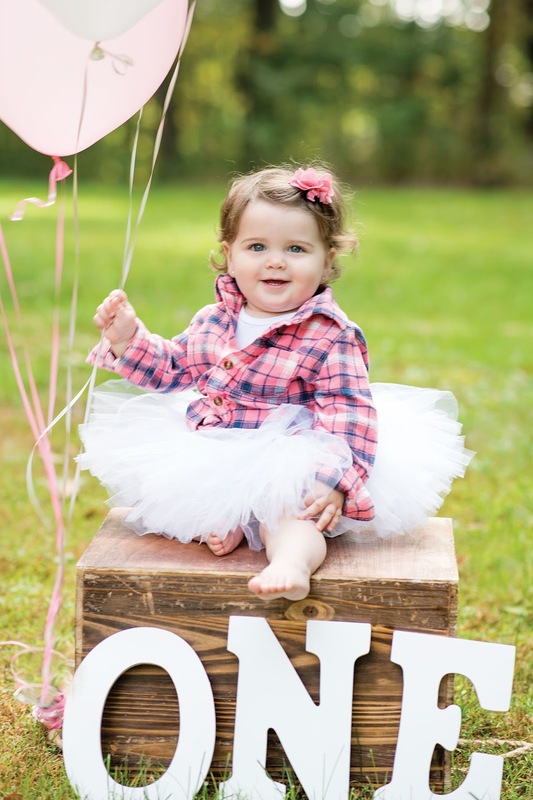 Most one-year-olds rip off anything you try to place on their heads, but not Scarlett! 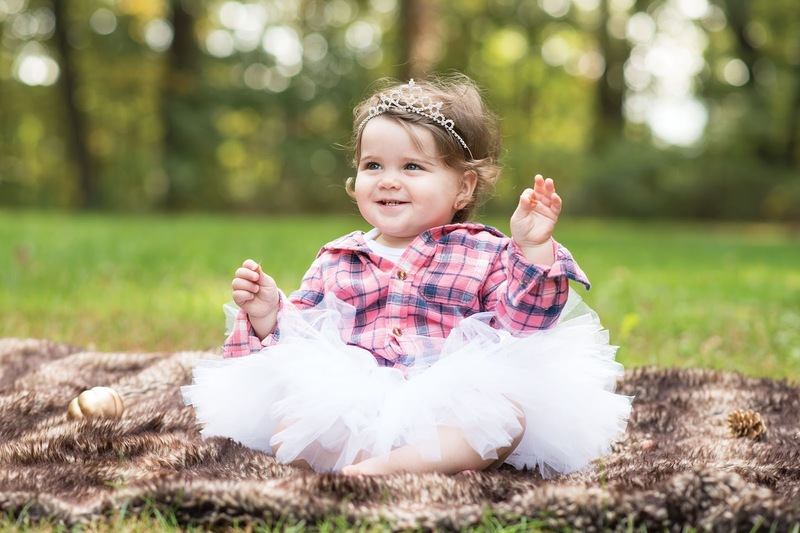 She loved her princess crown. 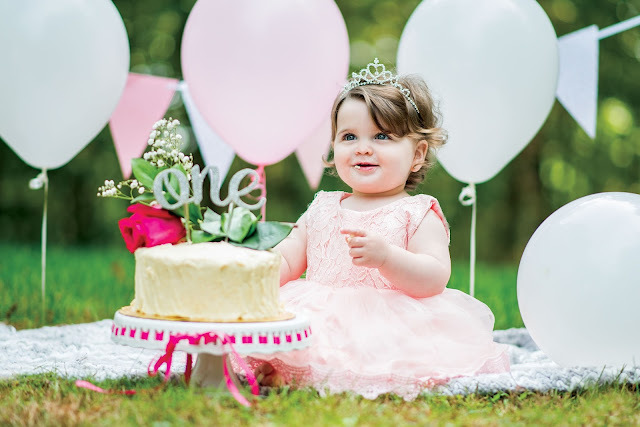 This little one loved playing with the balloons, and feasting on her cake!